PaSsu Diary : Which Gang should I register my Son with? Which Gang should I register my Son with? On New Year’s Day my son got robbed in Jaigon amidst the crowd. His beloved mobile phone and some cash were snatched away by a group of Indian Nepali boys. The first question they asked him was, “Are you a member of MB Boys?” MB boys, I heard, is a gang in Phuntsholing with over hundred members. They are in permanent state of war with the Indian boys ever since the murder of an Indian boy in Bhutanese soil. And today, despite strong indo-Bhutan friendship, no Bhutanese youth can walk safely across the border, unless in groups or with elders. For once I wished my boy was with that gang; they would have given him protection and he wouldn’t have to undergo the traumatic experience. But that’s soon forgotten as we packed our bags and headed home. But that was just the tip of an ice berg of what is happening in our towns. Wangdue is now seeing strange faces and deadly group names, which only mean gangs are growing here at home too. I heard of some gang leaders from Thimphu visiting Wangdue to register members; they seem to have registration form, fee, interview, and other formalities in place. And as a concerned father I am seriously wondering which gang I should register my son with, because I don’t want my son to be a victim of all the gangs. He may need protection even as he walks to school. He has already seen the weakness of being a good boy. Thank you sarah. 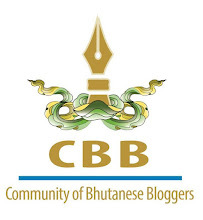 I am happy to tell you that Business Bhutan has picked it up for this weekends opinion column. Very good article sir, i enjoy reading your articles sir. help me something about IT(It means articles related to IT topics achivement like...Ms-Words,Ms-Paint, Powerpoint, Excel, Javescript and publisher).